Experience the Taiwanese tea making ceremony. Learn to appreciate the best quality Chinese and Taiwanese tea, and then enjoy a calming walk along peaceful forest paths with spectacular views of Taipei and the surrounding mountains. Slow down, relax, and feel the balancing of soul, mind and body. 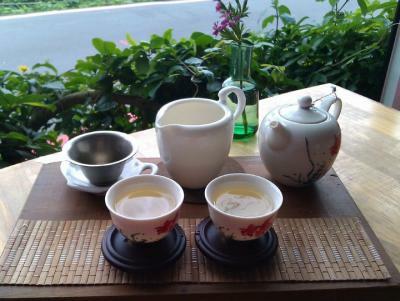 In this class you will learn how to prepare Taiwanese teas. The knowledge you will gain is also applicable to teas popular in other Asian countries, such as Japan. We will make four types of tea: Four Seasons Oolong, High Mountain Oolong, White Tipped Oolong, and Aged Oolong, and discuss these and other varieties. We start the class with some refreshing cups of tea and some traditional Taiwanese snacks, while we discuss the world of tea. 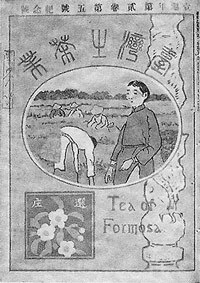 You're welcome to ask any questions about tea, Taiwanese culture or any other subject. We will talk about how to shop for tea, which tea growing locations and shops are good, and how to identify the highest quality tea leaves. Very good tea is not cheap, but you will learn how to avoid overpriced tea. You will also find out how Chinese tea is used as part of balanced diet, to make eating a more enjoyable and healthy experience. We will explain which foods go best with various varieties of tea. We use traditional Chinese-style teapots and cups in this class, but in case you don't have any at home, we'll also explain how you can use Western-style utensils to make Oolong tea. Later in the class, you will have the opportunity to practice what you have learned by making tea yourself. Next we will walk a short distance to the hillside forest nearby, where you can enjoy the tranquil natural environment and beautiful views of Taipei and surrounding mountains. If you would prefer a more invigorating uphill hike into the mountains, please let us know in advance. Click here to see more photos of the mountain sights. To conclude our stroll, we can either return and call a taxi for you, or walk down to the city, where you can continue walking to enjoy the shops, restaurants and street life and catch a taxi or bus if you require. Cost: Our introductory price for this new class is NT$3,000 for one student, NT$5,000 for two students, and NT$6,000 for three students. Sorry, but we do not offer discounts for these events. Class size: 1 - 4 students (larger classes may be possible). Always let us know exactly how many people will be coming with you. Private classes may be available on request, for an additional charge. Children: Before you book, please let us know if you are bringing children and their approximate ages. Usually we will require you to book a private class if you bring young children, as they may affect other guests' enjoyment of the class. Time: The activities start at 2pm and everything lasts about four hours. Please always contact us well in advance to make a reservation. Earlier starting times may be possible on request, but not earlier than 9am. Note: These details apply only to the event which you can see on this page. Custom designed events may cost more or have a different duration. Credit Cards: We can only accept Credit Card payments online, not on the day of the class. Please contact us for details. Payment processing companies will impose additional fees on transactions. Booking Deposit: For some classes and certain busier periods, we require an advance booking deposit of NT$1,500 per person for each class booked, paid by Credit Card or Paypal. In some cases we can accept your booking without an advance deposit. Other Payment Methods: Please contact us for details. Cancellation/changes/refunds: If you need to cancel your class more than 7 days before the date you have booked, we will refund your deposit minus a 10% charge to cover our handling costs and charges imposed by Credit Card/Paypal. For late cancellation and changes (less than 7 days before start of class), we charge NT$1,500 per person for each class booked, and refund the remainder of your advance payment or deposit. This is to cover the cost of lost business, ingredients, and preparation. This charge applies for class cancellation, time or date changes, and reductions in the number of guests. Aside from this, we humbly implore you not to book a class unless you are certain you can attend on time, because late cancellations, no shows and very late arrivals are costly for us, and they inconvenience other guests or deny them their only chance to attend a class. The Weather: Taiwan's weather is highly variable. Maximum daytime temperature during summer (May to September) is about 35°C (95°F), and minimum in Winter (November to February) is about 10°C (50°F). It's usually extremely humid in Summer - read more about Summer weather in Taiwan. We may adjust the route of the walk depending on the weather on the day and guests' capabilities and requirements. During rare periods of severe weather, such as typhoons, we may be forced to shorten or even cancel the walk, after consultation with our guests, and offer other activities in its place. You can see local weather forecasts here.